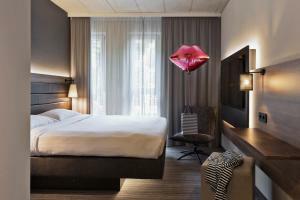 Situated in the Ostend district of Frankfurt am Main, MOXY Frankfurt East offers non-smoking rooms, parking facilities, free WiFi, a fitness centre, and a garden. 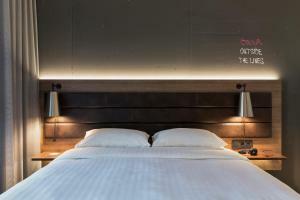 Boasting a 24-hour front desk, this property also provides guests with a restaurant and a bar. 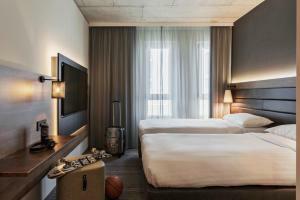 All units in the hotel feature air conditioning and soundproofing, and are equipped with a flat-screen TV with cable channels. 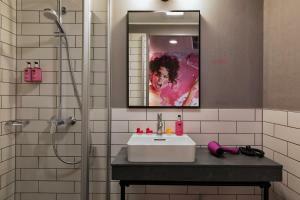 The private bathrooms are fitted with a shower, free toiletries and a hair dryer. 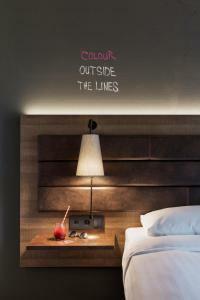 Guests at MOXY Frankfurt East can enjoy a continental breakfast buffet. The hotel’s own restaurant serves international dishes à la carte. The accommodation comes with a terrace, a shared lounge, and vending machines with snacks. Dry cleaning is available for an additional charge. The city hall Römer, Cathedral of St. Bartholomew, Hauptwache Square, Kleinmarkthalle, and Eiserner Steg bridge are all reachable within 3 km from the hotel. 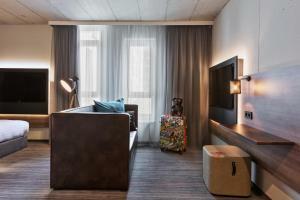 The nearest airport is Frankfurt Airport, 21 km from the property. 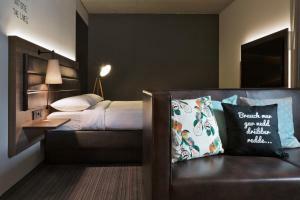 This double room has a flat-screen TV, air conditioning and soundproofing. There is no room for an extra bed in this room category. 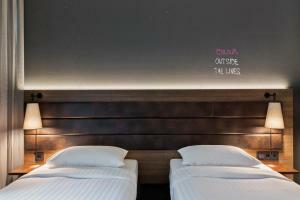 This double room features air conditioning and soundproofing. There is room for 1 extra bed, subject to availability. This twin room has air conditioning and soundproofing. There is no room for an extra bed in this room category.